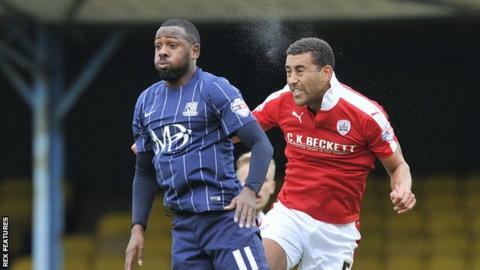 Myles Weston made 17 appearances for Southend earlier this season before injury ruled him out. Midfielder Myles Weston hopes to make his Southend comeback in Wednesday's home League One game against Sheffield United. The 28-year-old has been troubled by plantar fasciitis, an injury affecting the heel and foot, and has not played for the first team since November. "When I get my chance I just want to grab it with both hands," Weston told the club website. "It's a tricky injury. You can't rush it. I had to wait until it was right." Weston's last appearance came against the Blades in a 2-2 draw five months ago, but having made several appearances for the club's under-21 side, he hopes he can make a contribution as the season draws to a close. "I didn't think I could just be fit and go straight back into the team," he continued. "It doesn't work like that. "You have to work your way into the team and earn your spot, so I've been patient. I've been on the bench for two games. "We've done great this season, and I still feel we can get in the play-offs. I don't think we're out of that."